Deeper Learning. Linked Learning. Blended Learning. Personalized Learning. Student-centered Learning. Project-based learning. Social and emotional learning. And the list goes on (and on). There are literally hundreds of education initiatives—and an equal number of philanthropic strategies—designed to improve our education system. In my time as fellow at the Hewlett Foundation, I have come to realize the importance of putting equity first, ahead of any other goal or initiative. For all of us who have devoted our careers to serving children, our greatest responsibility is to create a world in which every child, regardless of her race, income, or ZIP code, has the same chance to attend excellent schools, graduate from college, and fulfill her potential. The achievement gap is terrible enough at the level of the individual. For the one in five children in the United States who lives in poverty, college—the clearest path to a brighter future—is all but unattainable. But the achievement gap is also destructive to our society as a whole. Educational inequity erodes our deeply held American values: equality of opportunity, social mobility, the American dream. We have to honor our belief that every child has a right to life, liberty, and the pursuit of happiness—no matter the status of her parents. 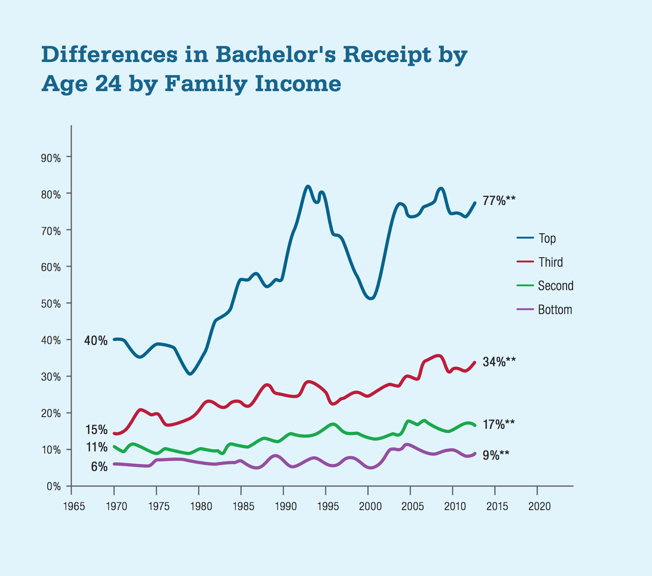 An equitable education system, which provides equal opportunities to students with the highest needs, is a necessary component to addressing rampant income inequality, now at its highest level since 1928. And address it we must. Rampant inequality contributes to a whole host of social problems. It’s part of the reason the United States has the highest infant mortality, maternal death, and prison population rate of any developed country (and very nearly the highest homicide rate). Inequality hampers economic growth and threatens democracy. So if education is critical to creating social mobility and reducing income inequality, how can we make our school system the ‘great equalizer’? How can we finally close the achievement gap? Those of us working in education have to prioritize equity as our explicit ultimate goal. We have to design strategies that directly focus on closing the achievement gap—or the gap will never close. It won’t be enough to shape our missions, programs, and policies around improving education for ‘all students’ – many reforms over the last few decades have done that, but the achievement gap actually grew. Why? 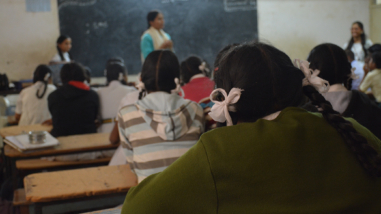 Those reforms failed to reverse the structural causes of equity: the uneven distribution of resources that systemically disadvantages certain groups of students. Instead of receiving extra funding, schools and districts serving the poorest students typically receive the least funding. Even more important than funding is teaching. 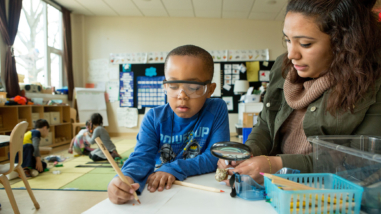 According to the Education Trust-West (a prominent research and advocacy group), low-income students and students of color are less likely to be taught by top teachers. Decades after Brown v. Board of Education, school segregation is, in many places, still a reality. Optimistically, the last few years have produced new opportunities. The Equity and Excellence Commission drew additional attention to the achievement gap. Federal programs like the Investing in Innovation Fund (i3) and policies like the Every Student Succeeds Act and California’s Local Control Funding Formula make it possible for states and districts to direct more resources to the students who need it most—if they so choose. We have a lot more to do. 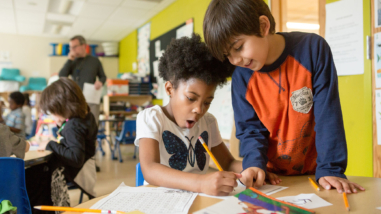 To close gaps, we must make our best resources—teachers, funding, and programs proven to support student learning—available to underserved students. We have to ensure that our best ideas directly address the needs of low-income students, English language learners, foster youth, and students of color. And we have to respond to what communities, students, and teachers in underserved areas are asking for—whether that fits within our preconceived strategies or not. So, I encourage those of us who care deeply about every child’s future to reflect on our organizations’ strategies, programs, and policies and ask ourselves one simple question: will they help close the achievement gap? If not, redesign them. We owe it to every child, and our country as a whole, to put equity first.